The ARC T21012HR One-Wire Surveillance microphone comes with an OEM Hirose quick disconnect adapter providing extreme durability and reliable quick release from the two-way radio. 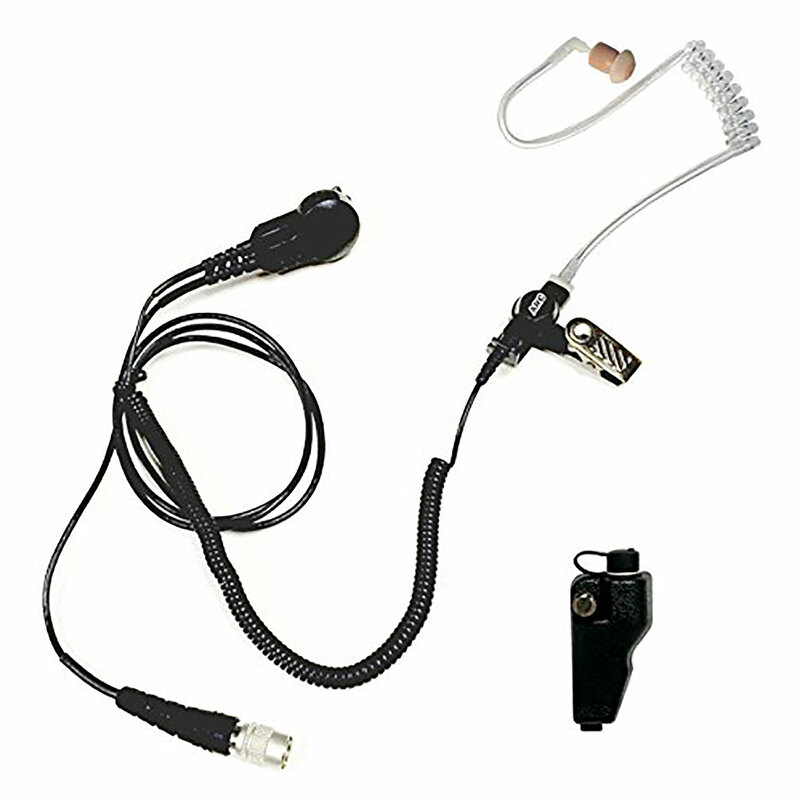 The T21 earpiece is easy to conceal and operate. The Knowles brand microphone element delivers superior transmit audio. With Kevlar reinforced cables and a 360 degree rotating clothing clip, the T21 has proven to be a top choice for public safety personnel.